The recently launched Russian news provider, Sputnik, gives, in the article by Daniel Zubov cited below, an interesting review of the Brzezinski Family and their influence on Americas foreign policy. 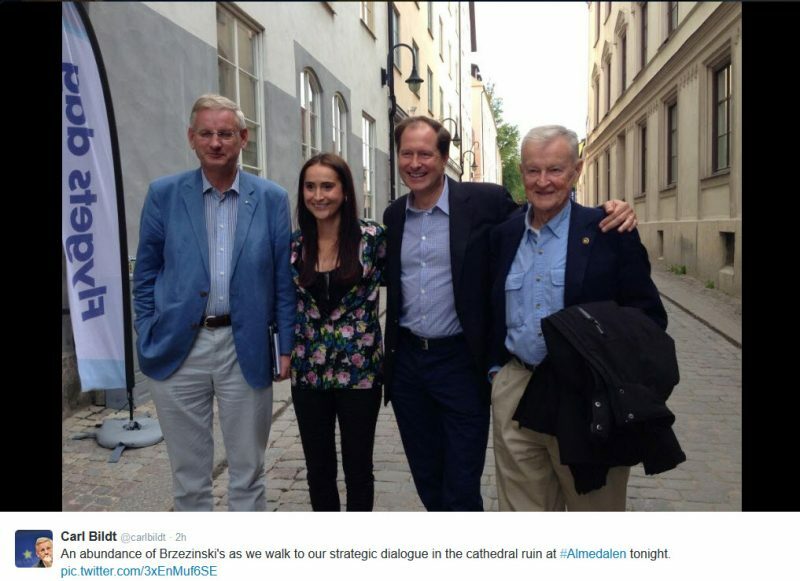 The connection to Sweden through the American Ambassador there, Mark Brzezinski, helps to explain the special role Carl Bildt and the Swedish Foreign Ministry played in the event leading up to (and also after) the coup in Kiev in February 2014. The article also demonstrate how an inherited hate towards Russia can thrive during generations given the right kind of stimulus and rewards. Not knowing what any Russians did to Brzezinski's ancestors, most certainly nothing was done directly to himself or to his children. The inherited hate therefore looks more like a mafia blood-feud than something that should form the foreign policy of the most powerful country in the world. But, for sure, this hate of Russians and the strategies for dividing Russia as described by Zbignew Brzezinski in his book “The Grand Chessboard“, was willingly adopted by the Anglo-American elite that rules North-America and most of Europe today. Undoubtedly, this hate has also created a fortune for the Brzezinski Family. A real example of a”passion for business”. 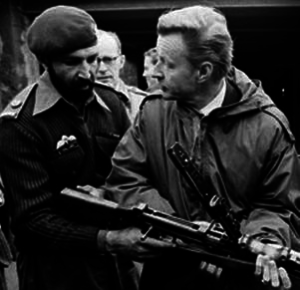 Zbignew Brzezinski was planning and implementing the American elite's anti Russian activities already from 1979. 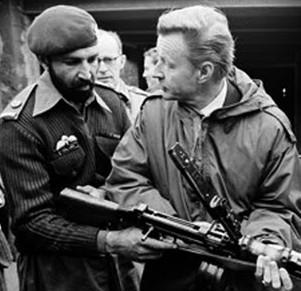 Acting as President Jimmy Carter's National Security Adviser, Zbignew Brzezinski, together with the present Director of the CIA, John Brennan, set the trap for the Soviet Union to intervene in Afghanistan to protect the elected government there from the Mujahideen guerilla/terrorists funded and trained by CIA. If an inherited hatred, together with a “passion for business” and the possibility of a family “vendetta”, motivate the efforts of the Brzezinski Family to destroy Russia, it is harder to understand what drives Carl Bildt's anti-Russian efforts. Probably it is the combination of power, ideology and money. The history of Carl Bildt in Yugoslavia (when it became “the former Yugoslavia”), proves that it doesn't matter who is the target of the Anglo-American elite, Bildt is always ready to support his pay-masters. The sad thing for Sweden and its tax-payers is that Carl Bildt during his period as Minister of Foreign Affairs (2006-2014) could support the hegemony of the USA with the resources of the Swedish state. Swedish development cooperation with Ukraine commenced in 1995 and amounted to 71 mln USD (during the period 1995-2006). The overall goal of the Swedish cooperation is to support reforms that foster Ukraine’s integration into European structures. The yearly budget for Ukraine in SIDA (The Swedish International Development Cooperation Agency) is about 20 million Euro. As in many other places in the world, SIDA collaborates in Ukraine with USAID and other American “NGO's” (like George Soros “Open Society Foundations”). , on getting opposition parties banned and on burning people in Odessa or killing children in Donbas, all in the name of “democracy” and “European integration”. He and the Swedish right wing government have also completely destroyed Sweden's reputation as a neutral and independent country which tried to be “the whole world's conscience”. If any Swedish government official had tried to promote Russian interests above the interests of his own country (like Bildt is promoting the interests of the Anglo-American elite) it would have been all over the press and maybe even a case of prosecution for treason. But now, since he is doing it in the name of “EU expansion and integration”, it all seems to be “kosher”. As the saying goes: “An image tells more than thousand words”. Here is a screenshot of a tweet by Carl Bildt from the summer of 2014. As President Obama prepares for his address at the NATO Summit in Wales and for chairing the United Nations Security Council in September, the children of , the aging anti-Russian strategist who advised President Obama during his first campaign, have been actively working to implement his Cold War schemes. While Zbigniew has held no official role in President Obama’s administration, his son Mark, who served on President Clinton’s National Security Council as Advisor for Russia and Eurasian Affairs, has been Ambassador to Sweden since his confirmation on November, 11, 2011. From 1999 to 2001, he served as a director at the National Security Council, where he coordinated inter-agency policy formulation and advised the President and the National Security Advisor on issues relating to Russia, Eurasia, the Balkans and NATO. Ambassador Mark Brzezinski has used his position to urge Sweden to join NATO, appearing at an Atlantic Council event in March to commend Sweden’s integration into NATO’s military forces, and pointing out to the Swedish media in April that the renewed Russian threat should justify increased defense budgets, as NATO or American support is not completely guaranteed. Despite not being a full member, the Swedish military has participated in several coordinated NATO exercises this year. In March, fourteen hundred Swedish troops participated in Cold Response, a bi-annual drill hosted by Norway which simulates NATO responding to a hypothetical conflict between a government and separatists after a natural disaster. The first time Ian had publicly sought to compel NATO to take a hostile stance towards Russia alongside Ukraine’s new government was in his March 24 Washington Post piece, entitled “Three ways NATO can bolster Ukraine’s security.” In addition to approving lethal weapon transfers and increasing training exercises, he suggested reminding Russians of their role in Afghanistan — perhaps forgetting the blowback from America’s decision to arm and train Islamist Mujahedeen soldiers. Zbignew, who served as President Carter’s National Security Advisor from 1977-1981, was raised by his anti-Russian father, Tadeusz Brzezinski (1896 – 1990), who fought the Soviet Red Army in the final Warsaw campaign of 1920 and later was Consul General in the German city of Leipzig in 1931-1935. Zbigniew also married into a legendary family of anti-Russian politicians: his wife, Emilie Beneš, was the grand-daughter Czech politician Vojta Beneš (1878-1951), brother of former Czechoslovak Prime Minister Eduard Beneš (1884-1948). Beneš was Prime Minister of Czechoslovakia before WWII, in exile, and then after the war. Beneš was overthrown in 1948 after he tried to bring Czechoslovakia into America’s Marshall Plan, a project to consolidate anti-Soviet power in Europe. Daniel Zubov for The Center for International Journalism and Research, Rossiya Segodnya.